Cyber Hunter, the open-world battle royale game has launched in Singapore, Malaysia, and Indonesia, and here comes for the player around Thailand and Philippines! It is an interesting battle royale game featuring survival, shooting and exploring gameplay elements. Just like most of the other battle royale games, Wanderers will drop down sky-diving onto the 6 x 6 km map and scavenge for resources to survive. Any vertical surface in the game is climbable, which means Wanderers can climb on them and glide down from high up. Wanderers may discover items (eg: tactical gloves that improve climbing speed) to explore the world better! As Wanderers level up, they will unlock different ability such as detecting enemy signal, invisible and build barricades. Wanderers can also dissolve a building or an item to gain droid energy, or use a Detector drone to spy on their enemies. While the Safety Ring protects Wanderer when they are outside of the safe zone, they can resurrect a teammate as well. Available in 5 categories – SMG, Rifle, Sniper Rifle, Shotgun and Throwables, the weapons in Cyber Hunter are unique too. Wanderers may get a shotgun that heals a friendly target, a grenade launcher that deals massive damage on buildings or a frozen grenade that freezes water. Upgrading the weapons with an Enhance Core unlocks new powers and even new skills. There are plenty of vehicles for Wanderers to travel around the world. From one-seated to five-seated vehicles, they can be categorized into land, aquatic and versatile. Unlike the normal vehicles, the ones in Cyber Hunter can do all sorts of amazing tricks. For example, the Cerberus can transform into a battle mecha, the Windrider can transform into a plane, while the Dawnbreaker has a destroyer wheel. The game allows Wanderers to customize their character from hairstyle, eyes colour, face size to the makeup of lips and eyebrows. Other than these, Wanderers can create their very own characters using the various fashion outfits, personalized moves, weapon paints, and vehicle paints! Keiichi Okabe is a well-known Japanese music producer, composer and arranger. He is best known for the theme music in the anime series Yuki Yuna is a Hero, the games Drakengard 3, Nier: Automata, and the PC game Fate/EXTELLA from the Fate series. Ryuichi Takada is a well-known Japanese composer and arranger. He is best known for the theme music in the TEKKEN game series and the game Fate/EXTELLA LINK. The original soundtrack of Cyber Hunter was produced by Keiichi Okabe and Ryuichi Takada, two famous experts from the game music creation fields, who personally made the game’s theme music. Music is used to express the exciting world atmosphere of the game, and gives players a near-future feeling and great excitement when playing. How the Cyberpunk theme is expressed through the soundtrack was the core issue that Kaiichi Okabe and Ryuichi Takada were concerned with during the composing process. They not only have a deep understanding of the entire game’s world view, but also collect every piece of inspiration during the soundtrack’s production, constantly shaping and innovating their music. In this interview, Keiichi Okabe and his team talked about their creation of the soundtrack for Cyber Hunter. For players in Thailand, Philippines, and Indonesia, you can install the game in both Apple Store and Google Play and fight in the battleground now! Cyber Hunter, the open-world battle royale game has launched in Singapore, Malaysia, and Indonesia, and here comes for the player around Thailand and Philippines! It is an interesting battle royale game featuring survival, shooting and exploring gameplay elements. https://www.youtube.com/watch?v=ImWtri1wbrI Just like most of the other battle royale games, Wanderers will drop down sky-diving onto the 6 x 6 km map and scavenge for resources to survive. Any vertical surface in the game is climbable, which means Wanderers can climb on them and glide down from high up. Wanderers may discover items (eg: tactical gloves that improve climbing speed) to explore the world better! As Wanderers level up, they will unlock different ability such as detecting enemy signal, invisible and build barricades. Wanderers can also dissolve a building or an item to gain droid energy, or use a Detector drone to spy on their enemies. While the Safety Ring protects Wanderer when they are outside of the safe zone, they can resurrect a teammate as well. Available in 5 categories – SMG, Rifle, Sniper Rifle, Shotgun and Throwables, the weapons in Cyber Hunter are unique too. Wanderers may get a shotgun that heals a friendly target, a grenade launcher that deals massive damage on buildings or a frozen grenade that freezes water. Upgrading the weapons with an Enhance Core unlocks new powers and even new skills. There are plenty of vehicles for Wanderers to travel around the world. From one-seated to five-seated vehicles, they can be categorized into land, aquatic and versatile. Unlike the normal vehicles, the ones in Cyber Hunter can do all sorts of amazing tricks. For example, the Cerberus can transform into a battle mecha, the Windrider can transform into a plane, while the Dawnbreaker has a destroyer wheel. The game allows Wanderers to customize their character from hairstyle, eyes colour, face size to the makeup of lips and eyebrows. Other than these, Wanderers can create their very own characters using the various fashion outfits, personalized moves, weapon paints, and vehicle paints! Keiichi Okabe is a well-known Japanese music producer, composer and arranger. He is best known for the theme music in the anime series Yuki Yuna is a Hero, the games Drakengard 3, Nier: Automata, and the PC game Fate/EXTELLA from the Fate series. Ryuichi Takada is a well-known Japanese composer and arranger. He is best known for the theme music in the TEKKEN game series and the game Fate/EXTELLA LINK. https://www.youtube.com/watch?v=le1dQ4zde1E The original soundtrack of Cyber Hunter was produced by Keiichi Okabe and Ryuichi Takada, two famous experts from the game music creation fields, who personally made the game's theme music. Music is used to express the exciting world atmosphere of the game, and gives players a near-future feeling and great excitement when playing. How the Cyberpunk theme is expressed through the soundtrack was the core issue that Kaiichi Okabe and Ryuichi Takada were concerned with during the composing process. They not only have a deep understanding of the entire game's world view, but also collect every piece of inspiration during the soundtrack's production, constantly shaping and innovating their music. In this interview, Keiichi Okabe and his team talked about their creation of the soundtrack for Cyber Hunter. 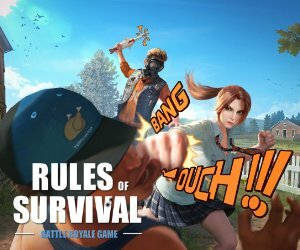 For players in Thailand, Philippines, and Indonesia, you can install the game in both Apple Store and Google Play and fight in the battleground now!